I'm here again for a review post! Reached there for evening session and was greeted nicely by the staffs there. 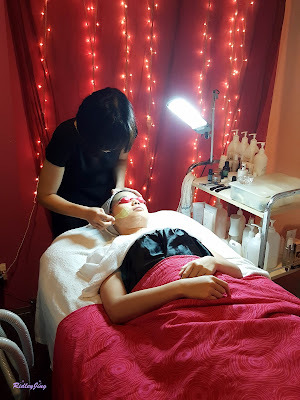 The staffs that responsible for my facial treatment that day was the beautician that help me to do my eyelash extension previously. A bit 'ganjeong' because the name of the treatment sounds scary. Back to the cozy and dim room again. Maybe because I was so 'ganjeong' the lightning of the room actually made me calm down. For this treatment, they required me to get change. Lied down carefully and still 'ganjeong' about the process, not really know what will happen later. I was so scared that it will cause pain afterwards. 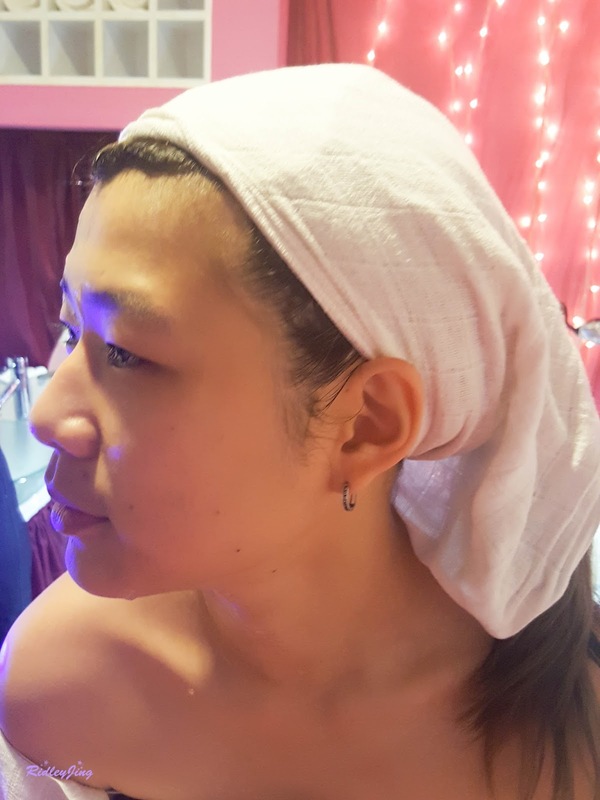 The beautician did explained the technology for me and told me for this new technology, it can be used for hair removal and skin treatment. But for that day, they said that they will go for skin rejuvenation treatment for me. Done prepared and the treatment started step by step. 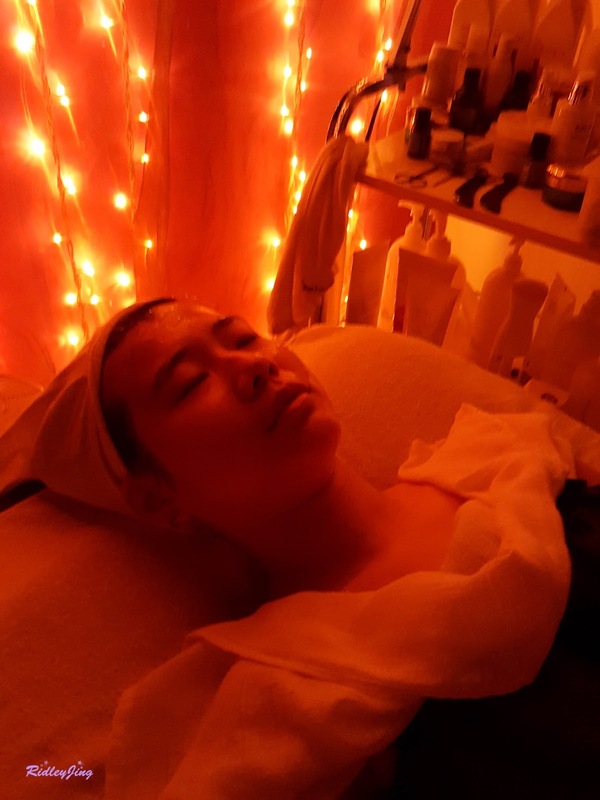 The beautician performed a series of skin cleansing, mask and skin care before the e-lightning treatment. For that day, I think she told me that I was the youngest blogger that came for this treatment but for truth, I'm not that young I guess, lol. Sorry for the very dim light photos. The room was dark and my boyfriend was helping me to take photos since I couldn't move during the treatment. Basically, the beautician started with cleansing my skin. Since I didn't have my makeup on that day so I guessed the cleansing part became easier? Lol. Before that, let me roughly introduce what is E-Light Derm Lift Technology. So the E-Light system basically works based on technologies with bi-polar radio frequency + IPL + Contact Cooling. 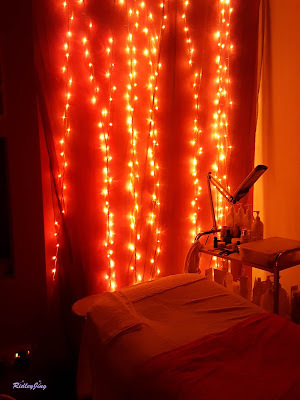 It uses IPL + RF energy for hair removal, skin rejuvenation including wrinkle improvement, skin lifting and acne, pigmentation removal vascular or capillary lesions (telangiectasis) improvement. The beautician covered my eyes with a orange red color eye cover, it tends to reduce the glaring effect during the E-Lightning Treatments. 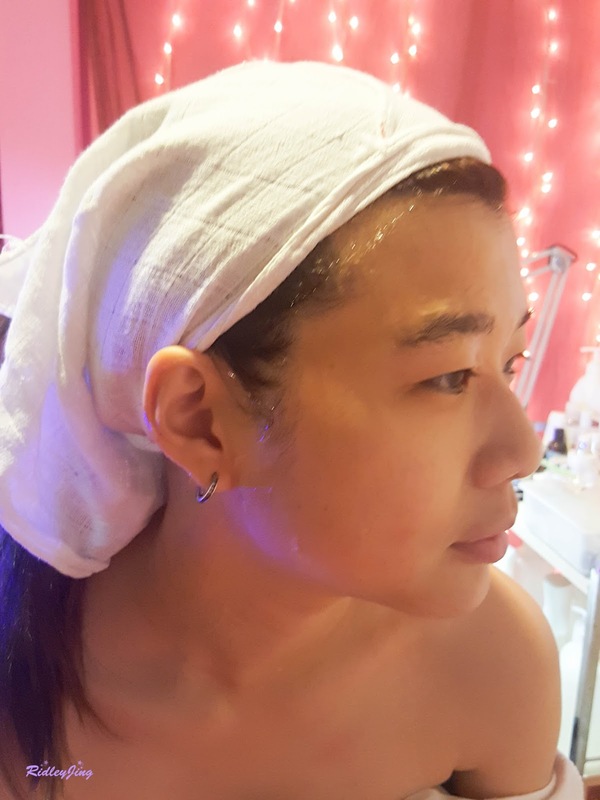 Cooling Gel was applied on my face for the treatments. Then the treatment started. 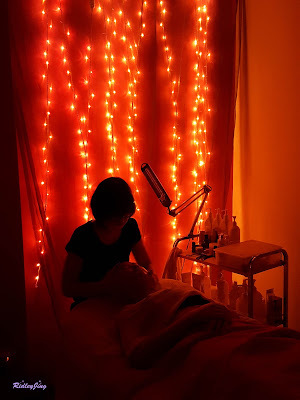 Then, the beautician started to use the machine on my face. Although I had the eye cover on my eyes, still I can feel the strong light even though I was closing my eyes. It was a bit pain. It felt like something stung me and it was a bit hot after the stung. Especially when she did my eye's area part, it's even more painful and the light was brighter. The beautician did half of my face first and let me see the difference. Actually my in photo it was not obvious, but by looking at mirror, I can see that my skin is tighten and lifted up. The beautician told me that the results was not obvious because I'm still young. But still it's a good start to take care of my face. lol. It will not show a obvious results for first treatment, it is better that we attend few more treatments to see the clear results. 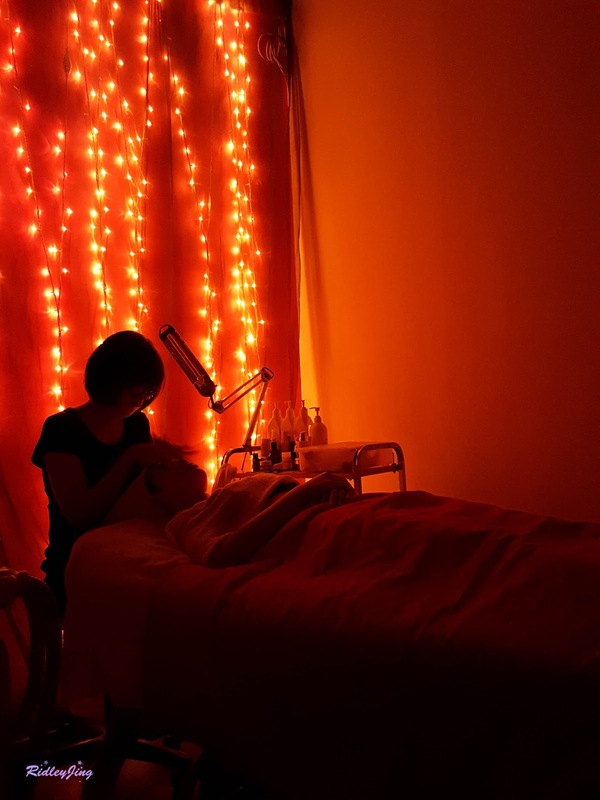 After the treatments, some skin problems might occurred. For me, after the treatment, my skin became slightly oily. 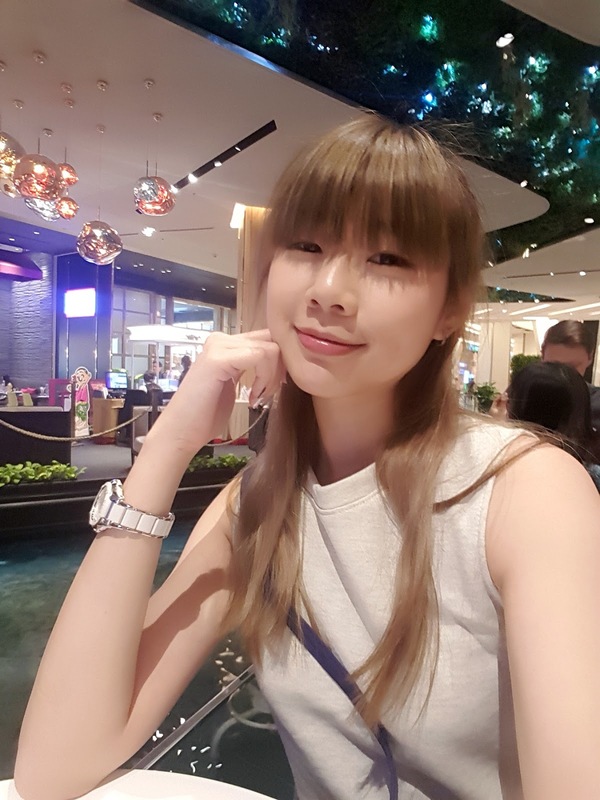 Although there's no pimples, oily face is a problem on that week after the treatment. 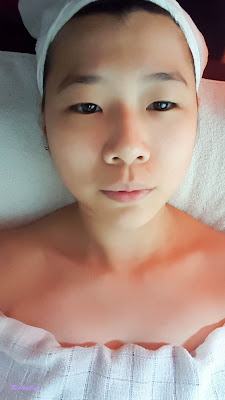 I was advised by the beautician not to stay under the sun for too long time because it will be hurtful to my skin. It's best to stay indoor after the treatment. Then after the treatment, she advised me to apply skin care and mask because the treatment tends to activates and optimize my skin absorption. Therefore, put more skin care afterwards. lol. If you wanna know where is it located, here's the address for you.